Remembering Lorene Marie Gilbert | Remembering Lorene Marie Gilbert | De Soto Obituary Search | Dietrich-Mothershead Funeral Home, Inc. Remembering Lorene Marie Gilbert | De Soto Obituary Search | Dietrich-Mothershead Funeral Home, Inc.
Lorene Marie Gilbert was born on January 16, 1928 in Williamsville, MO. She was the daughter of Clarence and Gracie Melinda (nee Thompson) Jones. 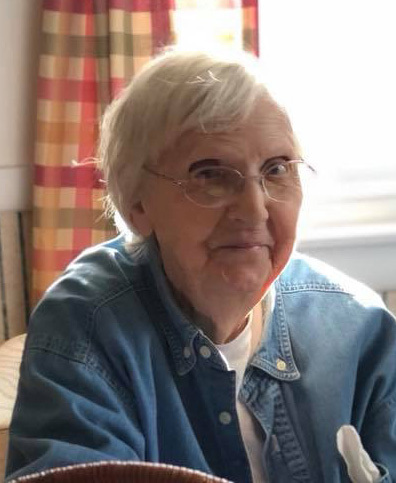 She died on February 2, 2019 at Mercy Hospital Jefferson at the age of 91. She is survived by her children, Barbara (Joseph Kyle) Gilbert of Bonnet Terre, MO; Linda (Dan) Butler of Fredericktown, MO; and John(Kendall) Gilbert of DeSoto, MO; her daughter in heart, Julia (Chris) Hampton, De Soto, MO; sister-in-law, Doris Gilbert; grandchildren, Trevor Dow, Robert Kyle, Amy (Michael) Sparks, Annie (Chris) Kemp, Dennis Butler, Madeline Gilbert, Mitch Gilbert, and Miranda Gilbert; great grandchildren, Gunner Dow, Dane Butler, Newt Kemp, Gage Pryor, Kaelyb Pryor, Guy (Beka) Stilwell, and Ashley Stilwell; and great-great grandchildren, Addie and Liam Stilwell; and many nieces and nephews. She was preceded in death by her parents, her husband, Ernest Gilbert; one son Bryan Gilbert; siblings, Edmond (Elizabeth) Jones; Lindel (Anna Mae) Jones, Norvel (Virginia) Jones, Nina (Jack) Landau; and Virginia (Wm.) Courtaway. Lorene loved feeding and watching her backyard wildlife; visiting with her family, friends, and neighbors. She enjoyed reading and watching westerns and indoor gardening. As an expression of sympathy memorial donations may be made to the Bryan Gilbert Memorial Scholarship c/o Jefferson College Foundation, 1000 Viking Dr., Hillsboro, MO 63050.